A high-speed train has derailed outside Santiago de Compostela in northern Spain, leaving at least 79 people dead. 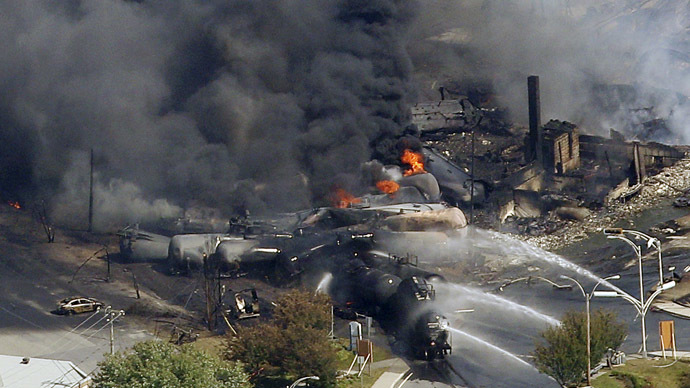 The rail disaster was one of the worst in Spanish history and authorities have warned the death toll may rise. 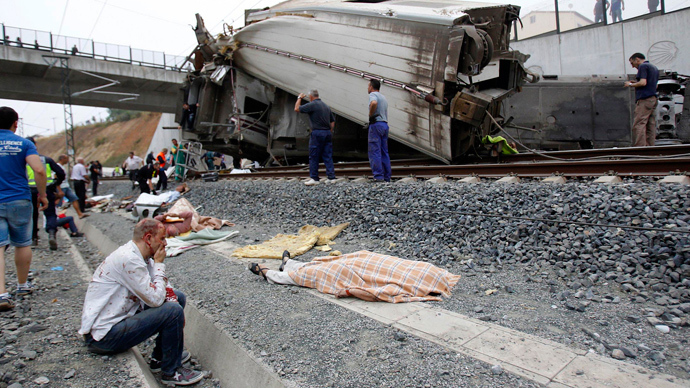 The train, which reportedly had over 240 people on board, was en route between Madrid and Ferrol. 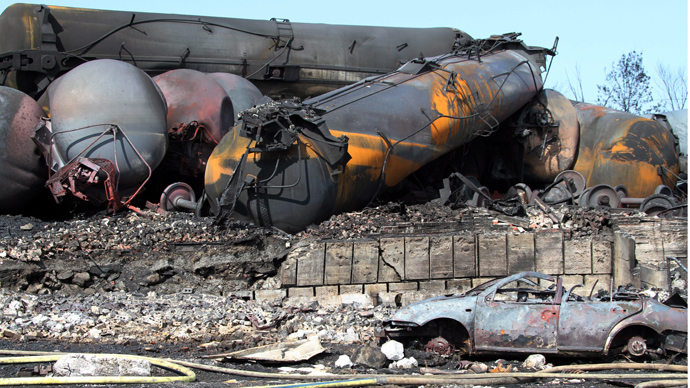 According to media reports, 13 cars derailed – at least four of which caught fire. Regional authorities said that a number of nationalities were among the injured, while the US Embassy in Spain confirmed that American citizens had been wounded in the accident. Galician officials say that 95 people remain in hospital, of whom 35 are in critical condition, including four children. A video has emerged on YouTube showing the moment of the crash recorded on a track-side security camera. There were rumors of a terrorist attack, but the Ministry of the Interior has now ruled out the possibility. Spanish Prime Minister Mariano Rajoy visited the site of the tragedy on Thursday and declared a three-day period of mourning to pay homage to those that died. "In the face of a tragedy such as just happened in Santiago de Compostela on the eve of its big day, I can only express my deepest sympathy as a Spaniard and a Galician," Rajoy said in a statement. Sergio, a witness, told La Voz de Galicia that "I did not suspect an attack of any sort. When the train took the curve, I had the sensation that it was traveling too fast, and then it derailed." It has subsequently been ruled that the train was traveling at twice the speed limit. Alvia trains can reach a speed of 250 kilometers per hour while traveling on high speed rails, though they typically travel at 220 kilometers per hour over normal lines. 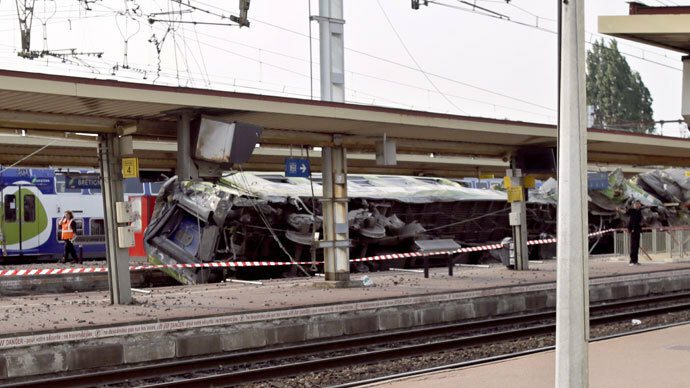 Spanish news agency Efe reported that the driver of the train had admitted to speeding when he hit the bend in the tracks, citing sources close to the investigation. 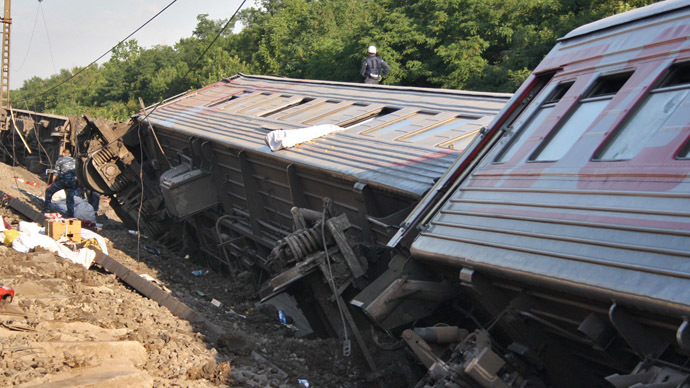 A spokesperson from Galicia's Supreme Court told Reuters that the train driver was now under investigation in connection with the incident. Renfe, the company which operates the train, has confirmed that the incident is the most serious train crash to happen in Spain in over 40 years. 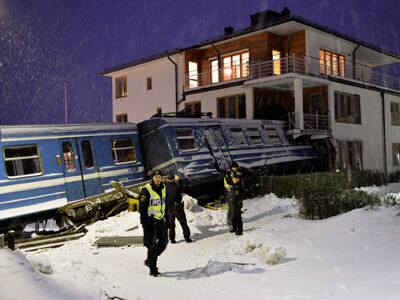 Furthermore, it is the first time a high-speed train has derailed in the country. 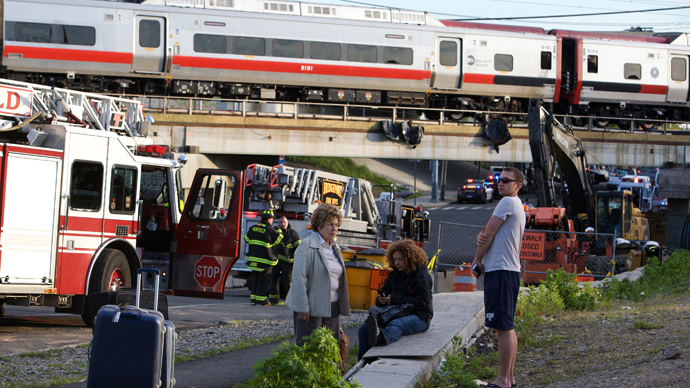 Bodies were scattered around the scene of the crash covered in blankets, as emergency services worked to try and rescue people still trapped in the body of the train. "Neighbors in the area tell Spanish and European media they heard 'an explosion' at the time of derailment", said Actualidad. "The wounded are being transferred to nearby hospitals in Galicia from the Clinical Hospital in Santiago as it has exceeded capacity", according to the Cadena SER radio station. La Voz de Galicia was relaying accounts from the train's passengers, which claim that one of the cars went up into the air and literally flew over the wall that runs along the train tracks, landing on a road. According to RTVE, celebrations for the region's most important holiday, the dia de Santiago - which is on Thursday - have been cancelled. Below is Spanish media's video of the immediate aftermath.